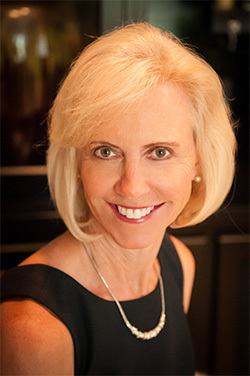 For over 25 years, Dr. Laura Wittenauer has practiced esthetic and restorative dentistry. After graduating from the University of Missouri-Kansas City School of Dentistry, she established her private practice in Lawrence, Kansas. In 2003, Dr. Laura and her family relocated to southern California. The focus of her practice is on building relationships with her patients by taking the time to listen and educate them on achieving optimum oral health. One of the most rewarding aspects of Dr. Laura’s practice is caring for patients with disabilities. Dr. Laura is also an educator. She teaches dentists as a senior facutly member at the Dawson Academy located in St. Petersburg, Florida and in Anaheim, California. She is a member of the California Dental Association Board of Managers. Dr. Laura is also a member of the Academy of Cosmetic Dentistry and the Orange County Dental Society. Dr. Laura and her husband Rick who is an endodontist have two children. They enjoy participating in Cross Fit workouts, running, cooking and attending USC sporting events.